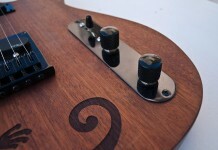 Traveling through the space of sound we started another experiment. 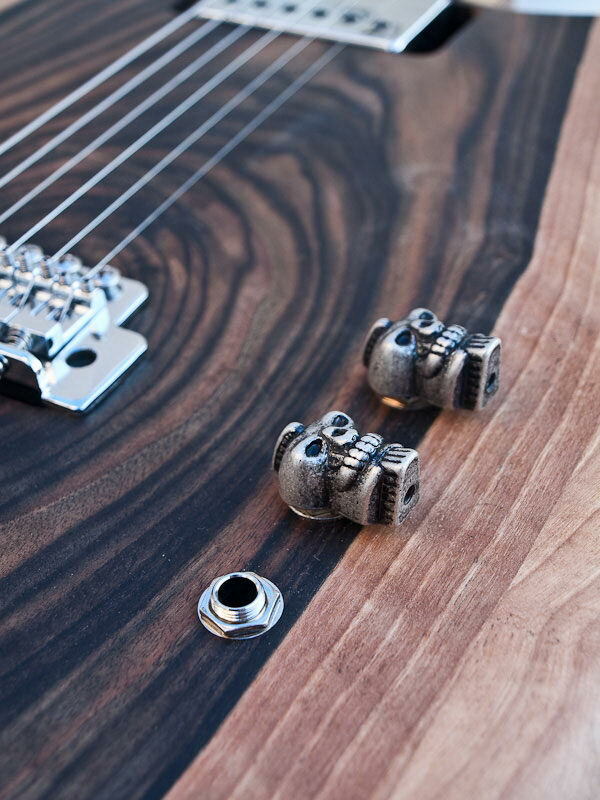 We called it Skull. 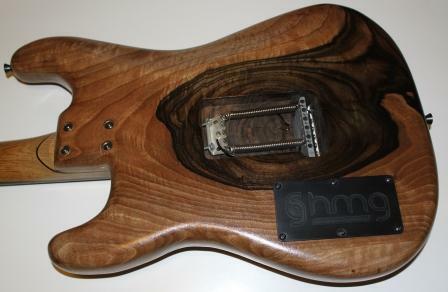 We found a great piece of walnut with perfect lines and great colors that served as a starting point and as inspiration. 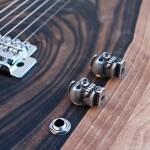 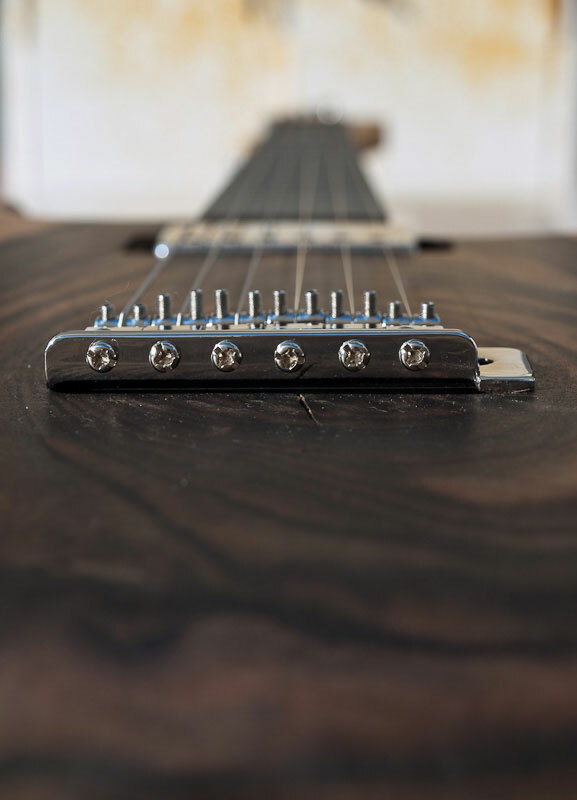 There is minimal design on the wood, a Fender single coil pickup with a nickel cover, a classic bridge and two skulls serve as the volume and tone knobs. 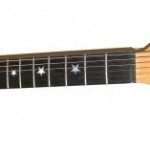 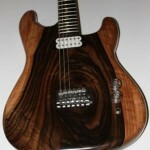 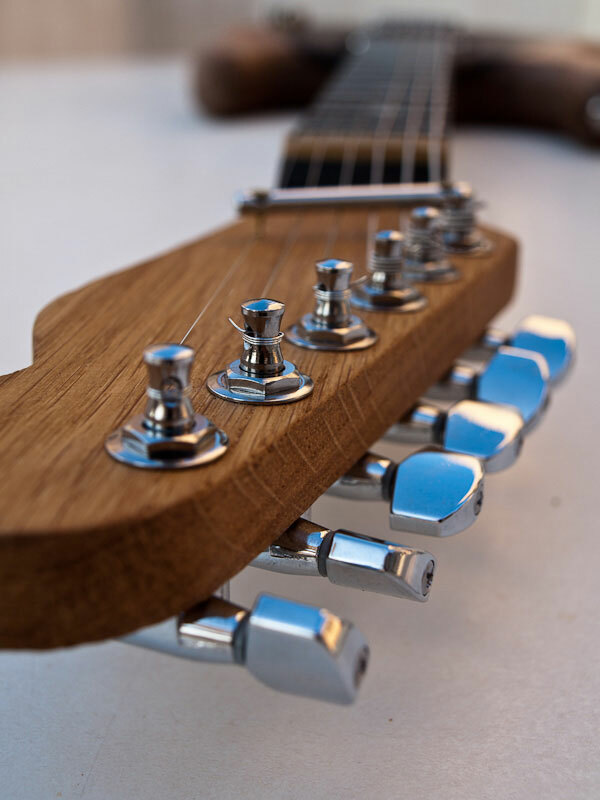 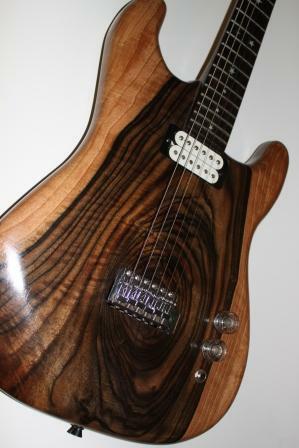 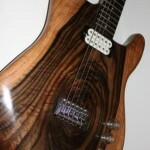 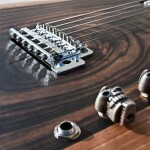 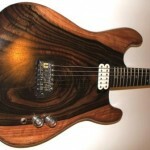 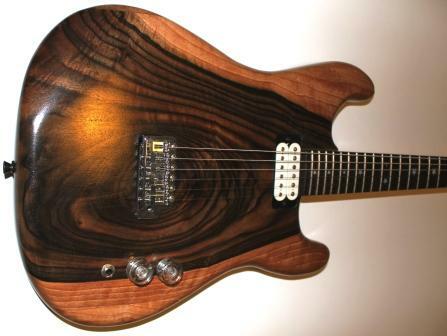 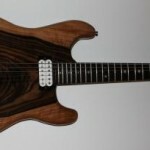 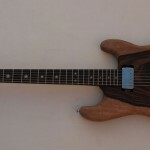 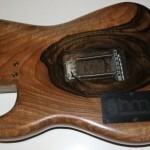 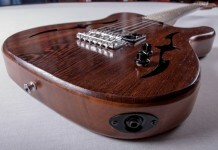 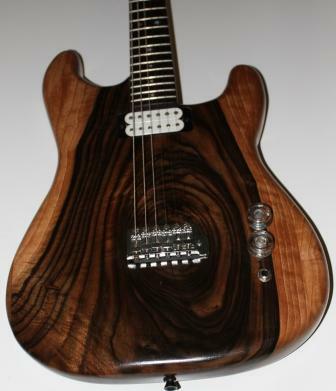 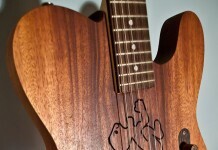 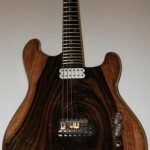 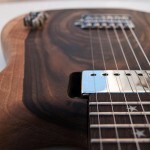 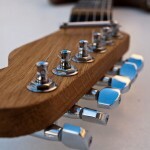 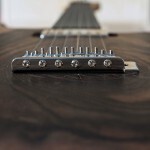 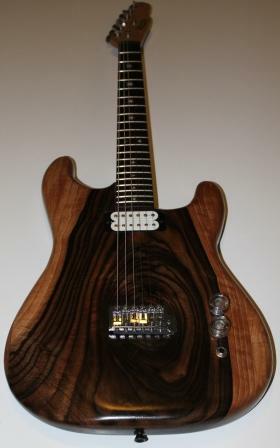 The neck is made from maple with a wenge fretboard. 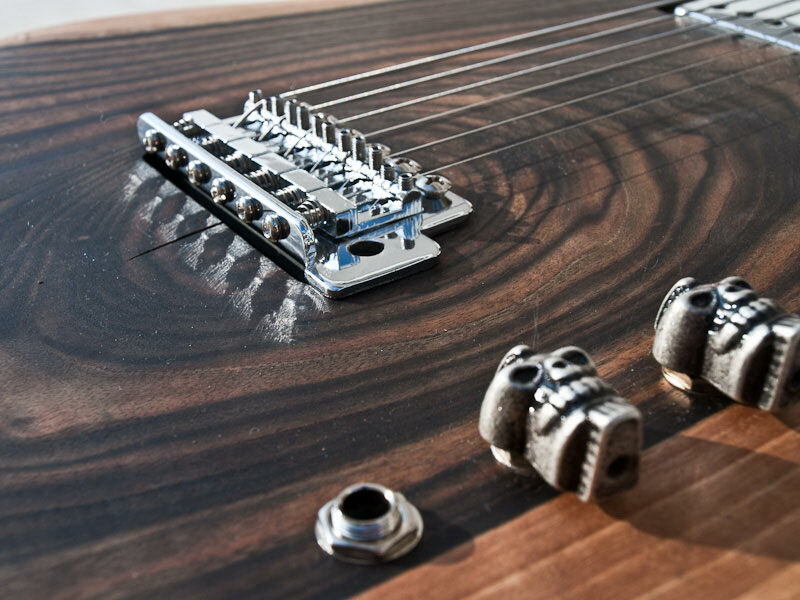 The result was beyond our expectations. 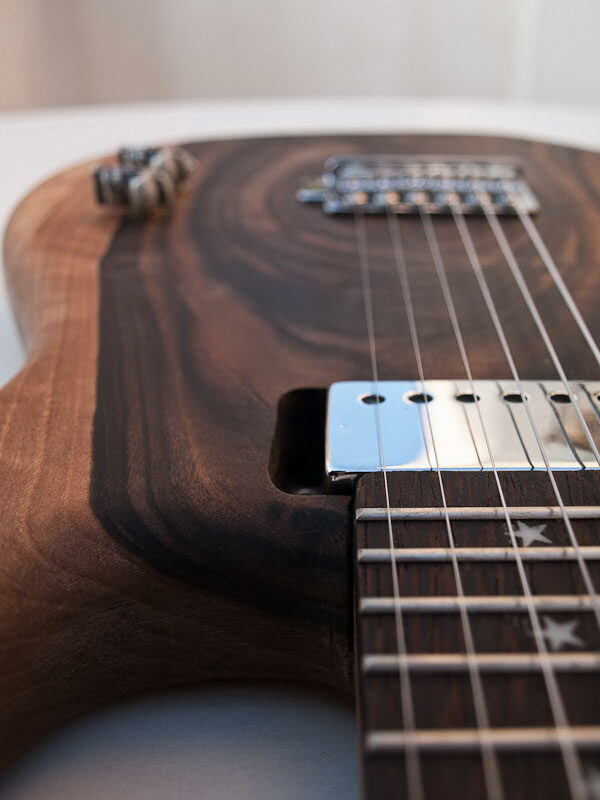 You have to play this beauty to understand how she feels.